Affiliate marketing is a common way for people to make money online. 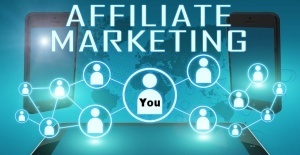 Affiliates (you) can earn money by selling something without creating products of your own through Affiliate Marketing. Affiliates earn a commission by partnering with a business and getting people to buy their products. Now you could make and sell your own products which would allow you to make more money, but you will also spend a lot of time and effort in creating the product. 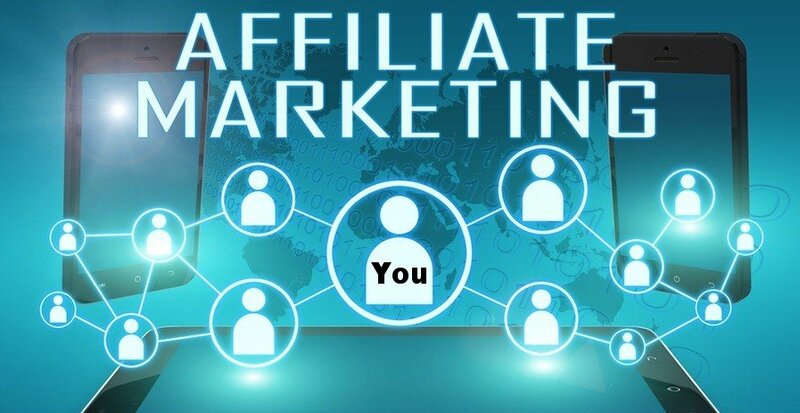 With Affiliate Marketing you are steering potential customers to another company’s website in the hopes that they will purchase products for which you will receive a commission. There is no cost to you, only the time you spend in letting others know about the product. You don’t create the product, you don’t package it, you don’t ship it, you don’t deal with customers, you only let them know that it is available and if they purchase……you earn a profit. This is a quick way for you to get started making money online. The cost of the product is the same as it normally is to the consumer, the commission is paid to you by the creator of the product out of their pocket. Why would they do this? Simple, because you may have insights and leads to other sources not available to the original product producer. It is well worth it for them to pay you a 20-50% commission in order to find new customers. While product owners make less money per sale (because they must pay a percentage of the sale to the affiliate), they are also reaching potential new customers that they probably wouldn’t reach on their own. You may have noticed that we have affiliate programs set up with Amazon, Blue Host and EM3 Video on our websites. This week we are starting our own affiliate program for those of you looking to start your own business or just put some extra money in your pocket. This is the opportunity that you have been looking for. Joining this program will cost you nothing, zero, nadda, zip……..not one single penny. It is recommend and easier to get started if you have some type of a group of people following your every word, whether it is Facebook, Youtube, Instagram, a Blog or Website. People will not magically come to you just because you put out an ad…………having a following of hundreds or thousands of people to promote the products to will be very helpful for you however, even if you don’t have a large tribe yet don’t let that stop you from trying. Maybe you have lots of martial arts friends or maybe you are the owner of a school or two. You may have other connections in fitness, self defense, military or LEO. If you want it bad enough you can make it grow into a successful business for yourself. Affiliates are most successful when the products they promote match the interests of their followers and subscribers. It is also advisable that you are familiar with the products that you are promoting. People can sense when you are being disingenuous and don’t really believe in the product. After being accepted into an affiliate program, the affiliate (you) will receive a URL (link) that includes your unique affiliate ID. You share that unique URL link with your subscribers, site visitors, and social media networks via text links or ads. When someone clicks on that link and purchases the product your Paypal account is automatically credited for the transaction. We are currently giving a 50% commission for each course sold. If someone from your tribe purchases the DFA Kali or Karambit Bundle at $37 that means that you get $18.50 placed into your Paypal account on every sale for doing virtually nothing. If they join the Single, Double Stick or Knife ($19) then you get $9.50. This can add up to hundreds or thousands of dollars in a very short time. You guys have been very loyal and supportive over the years…….now it’s time for us to pay you back. If you’d like to partner with us by joining the Affiliate Program and earn 50% commission for every course that you sell or just need more information. Simply fill out the form below. We will get back to you within 2 days.